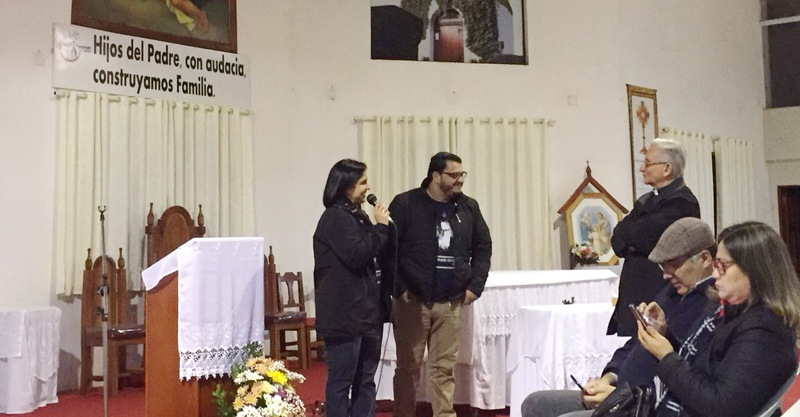 On very cold and rainy afternoon, we welcomed Bishop Claudio Giménez (priest belonging the Schoenstatt Institute) with great expectation and joy. Bishop Giménez is touring the country with a group of families from the city of Caacupé, where he was bishop for many years, relating his experiences with our father and founder. 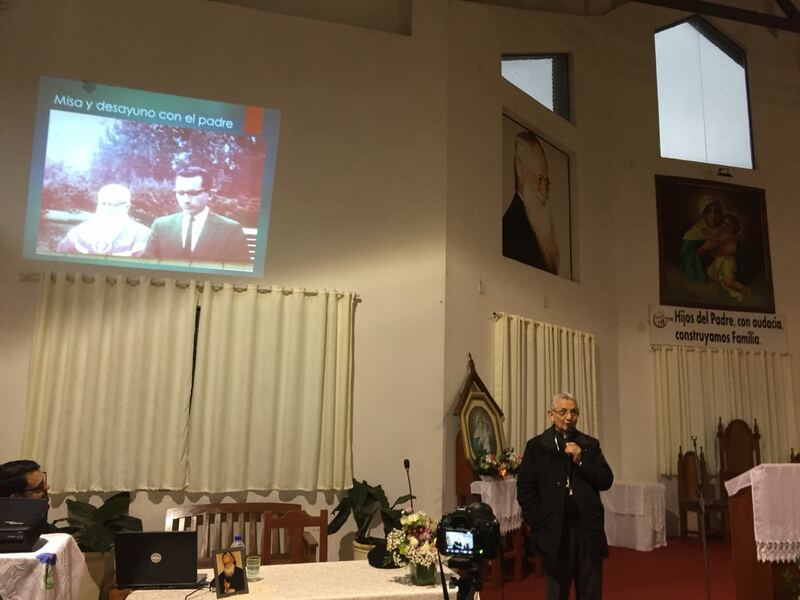 Bishop Giménez divided his presentation into three parts. 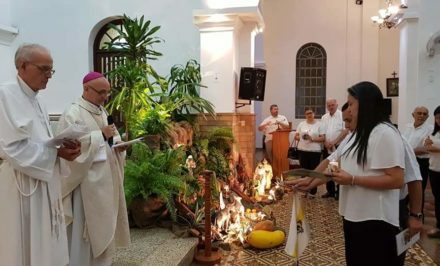 First, the beginnings of the Schoenstatt Movement in Paraguay. Second, the years when he lived in Schoenstatt, Germany, close to Fr. Kentenich, and finally, the stage after Fr. Kentenich’s death, the real life. In this narrative I concentrated on the second part. 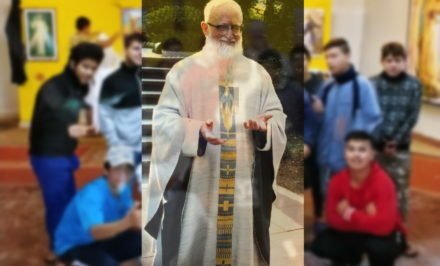 One morning, Bishop Claudio accompanied Fr. Kentenich to the Mass he celebrated daily at 6:25 A.M. 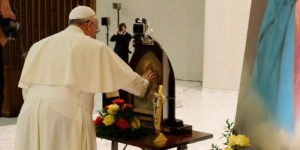 He related that he decided to study him step by step as the Mass developed, and among other things, he observed how he prayed, his gestures, how he gave communion. As a result of this observation, he concluded that Father was absolutely normal. “Fr. Kentenich taught how to make the natural supernatural. The saint of daily life. He sanctified by placing people in contact with God and the Most Holy Virgin Mary”. 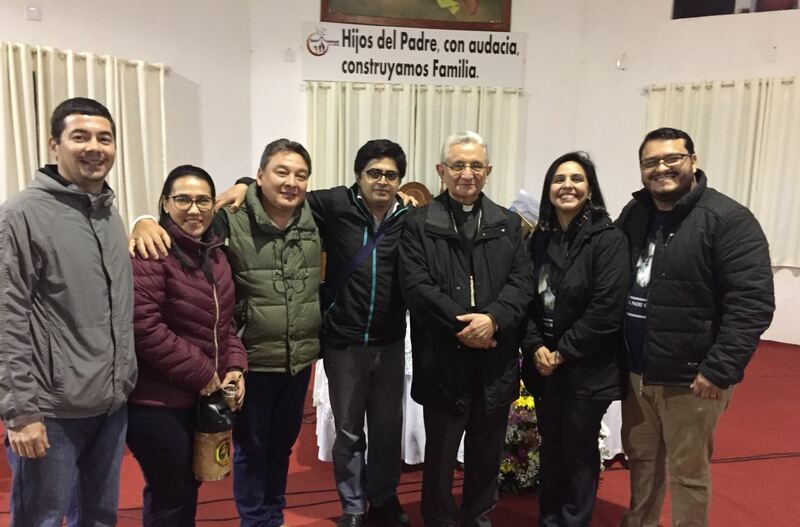 Bishop Claudio Giménez related that when he was in Germany, not in Schoenstatt but in Münster as a seminarian, his deepest desire was to talk with Fr. Kentenich. 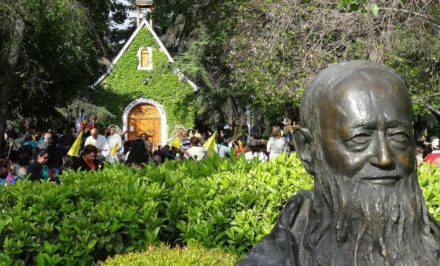 When his superior came, he traveled to where our father and founder was, and after the strict protocol established by the Sisters of Mary, he gained access to him. In this great encounter, Fr. 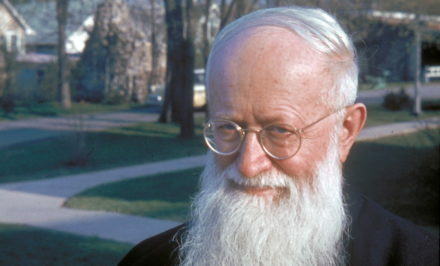 Kentenich advised him: “Be loyal to your covenant of love with the Most Holy Virgin Mary, the Mother of Jesus Christ, and everything will always go well for you. To die on a Marian feast day: he died on the 15 September, Feast of the Lady of Sorrows. To die in a place belonging to the Sisters of Mary: he died in the chapel of the Institute of the Sisters of Mary. We were once again filled with the sense that father was the Blessed Mother’s favorite son. She listened to him, down to the smallest detail. This is an invitation for all of us to deepen our contact with her to allow her to fulfill her mission and trust that she is the great missionary.